Industry voices concerns over UK safety mark in event of no-deal Brexit | What Hi-Fi? Leading consumer electronics manufacturers and distributors are increasingly worried that crashing out of the EU without a deal could lead to the added complication of having to comply with new UK-specific safety legislation. Currently goods sold in the EU carry a CE safety mark which indicates that goods sold in the UK meet European regulatory requirements. 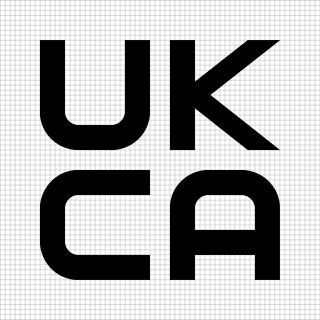 But as the CE trademark is owned and operated by the European Union, the Government says it would introduce the UK Conformity Assessed (UKCA) symbol to replace it in the event of a no-deal Brexit. In its guidelines - Using the UKCA marking if the UK leaves the EU without a deal - the Department for Business, Energy & Industrial Strategy says companies will still be able to sell CE-marked goods in the UK "for a time-limited period" after 29th March 2019. It will then "consult with industry and provide notice before ending this time-limited period". That hasn't satisfied some manufacturers and distributors. George Dexter, managing director of Armour Group which makes the successful Q Acoustics speaker range and distributes many other AV products, told What Hi-Fi? : "This is another piece of Brexit madness and a complete waste of money – the industry needs this like a hole in the head. "In reality we will all be making products to meet the CE standard as we all sell our products across Europe and it is verging on the unbelievable that the UK standards authority intends to/will come up with additional criteria over and above that required for CE marking. The last thing the industry needs is another set of standards to pay fees on to get approvals, it is bad enough as it is. "Ultimately, it just goes to show how out of touch the decision makers are with the real world and what business, in this case the consumer electronics industry, really needs from the law makers/political leaders." James Johnson-Flint, CEO of Award-winning hi-fi company Cambridge Audio, adds: "Common sense would say that the UK should accept compliance and marking to existing 'CE' standards which would keep both government and industry costs (and hassle) to a minimum. "Seriously, what is to be achieved by us having our own [UK] compliance logo? Why the need to make things complicated with another standard that is likely to be almost identical to CE?" In the event of no-deal Brexit, goods made in the UK and exported to the EU might require both the CE and UKCA logos - and need to meet the requirements of two separate regulatory regimes, one for the EU and the other for Great Britain and Northern Ireland. "If the UK leaves the EU without a deal, the results of conformity assessment carried out by UK conformity assessment bodies will no longer be recognised in the EU," says the Business Department. Under Article 50 the UK is due to leave the EU on 29th March 2019.